Personally when buying a pair of false lashes I always prefer ones with a thin band (the part that attaches to your lash line) as I find them much easier to apply. They are also perfect for beginners. 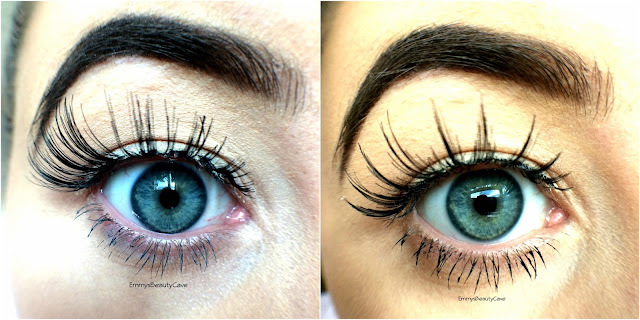 FalseEyeLashes.co.uk is a website that sells false lashes, mascara's and brow products including some well known brands. 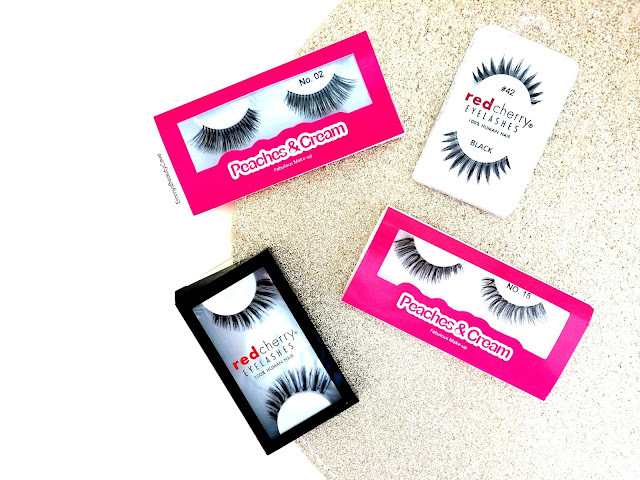 Red Cherry #110 Molla False Lashes | £3.99 | I adore these lashes, they are simple and perfect for anyone who wants longer lashes but still look natural. They aren't as full looking as most lashes which helps create a more natural look. Red Cherry #42 Paddington False Lashes | £3.99 | I am completely and utterly obsessed with the spikey type style lately. I think they look so unique to most lashes and they look perfect on without being to big. Peaches & Cream No.2 False Lashes | £3.95 | These are fuller lashes which have a tapered affect. These too can be worn for day time or night time depending what makeup look you do with them. If you prefer longer fuller lashes these are for you. Peaches & Cream No.15 False Lashes | £4.95 | Slightly similar to the NO.2 Lashes but these are slightly shorter and not as much volume. These are your perfect day to lashes. Alot of people think you can only where false lashes once which isn't true at all. It all comes down to how you look after them. I can wear some of mine four - five times. The best way I find to apply and look after them is to apply a very thin coat of mascara on your lashes leave them five minutes until dry. Then add a thin layer of glue to your lashes, I usually count to 30-50 and then apply them. Personally I use my fingers to place them on the outer corner moving into the inner corner. If needed I will then use tweezers to adjust. 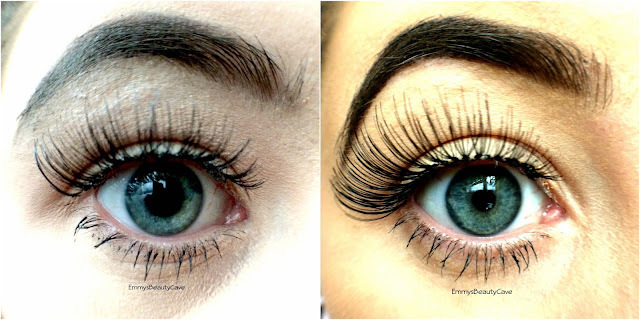 I wait a minute or so then I squeeze the lashes against my natural ones to help them blend. As soon as you take off the lashes peel the glue off the lash band. Doing this will keep them clean and you will be able to wear them again. Don't forget to check out FalseEyeLashes for super affordable lashes.